Shortly after the Malaysian airliner disappeared, I listened to a podcast about Loss on NPR. For the families of those who were onboard the plane, their lost was characterized as an Ambiguous Loss; a lost that you can’t quite come to grips with because you just simply do not know what happened. At the time the story aired, I tried to think about a time I felt this type of loss. I did have a few relationships, platonic and romantic, that seemed to end without cause. I could not, however, compare that loss to what the families were going through. On April 15, 2014, I went for my routine Dr. visit. The nurse and the Dr. both asked me questions about my baby’s movements. I explained that I rarely, if ever felt her move. They looked at me perplexed. Even when the machines were hooked up to me and told me that she was moving, I was barely able to decipher her movements. The fact that I didn’t feel her move wasn’t alarming to me. Throughout my pregnancy, I had not missed an appointment. Despite some minor complications along the way (low iron, fibroids, dehydration, etc), I left every appointment with positive news and my test results revealed that baby and I were doing fine. As the Dr. tried to find a heartbeat and failed, I began to feel lifeless and limp. I calmly grabbed my things and told my parents, who were waiting for me in the waiting room, that I needed to go to the hospital. “This could not be happening to me. This is just a bad dream”. Just a few days before my scheduled appointment, my family and friends gathered and put together an amazing baby shower. How can a celebration of life be quickly erased with the thought of death. Within an hour of my arrival to the hospital, my deepest fear had been confirmed, our baby girl had passed away. The Dr. commented on how stoic and unemotional I was. I was in shock. When my parents came in the room, I told them matter-of-factly that my baby was dead. The memory of their reaction will forever be imbedded in my memory just as the reaction of my husband when he came to the hospital from work. In those few hours, my hopes and dreams were dashed, but I quickly realized that my loss was not my loss singularly, but a loss to my village of family and friends. 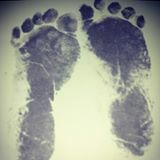 By the time I checked out of the hospital, less than 24 hours after I was admitted, I delivered my baby, held her, caressed her tiny feet and said goodbye with my family, hospital staff, and clergy around me. It was a surreal experience and all I could think about was this concept of ambiguous loss. I attempted to search for answers as to why this happened to me, what I could have done differently and who I could blame. I quickly realized that the blame game provides neither comfort nor answers. I also had to realize that I may never get answers and I will have to live with the ambiguity of not knowing, just as the families of the missing airplane. Nothing and I mean nothing can ease the pain of losing a child (whether they pass in the womb or after you birth them). The only thing that has provided some comfort thus far is knowing that I have a strong support system of friends and family as well as knowing that no matter how short- lived, I am a mother. Pictures of me at baby shower – a few days before I found out our baby girl had passed.